If you are seeking out a compact mechanical keyboard and want typical gaming goodness (like macros, backlighting) but don’t care for dealing with problematic software, Cooler Master might just have the perfect keyboard for you. The Quick Fire XTi might look simple on the surface, but under its hood is a lot of potential. Mechanical keyboards have certainly become ubiquitous in the PC gaming market, and Cooler Master has released a number of different models over the years. From clean, minimalist ten-key-less keyboards with nary a gaming feature in sight, to full-sized keyboards with dedicated keys for extra features. 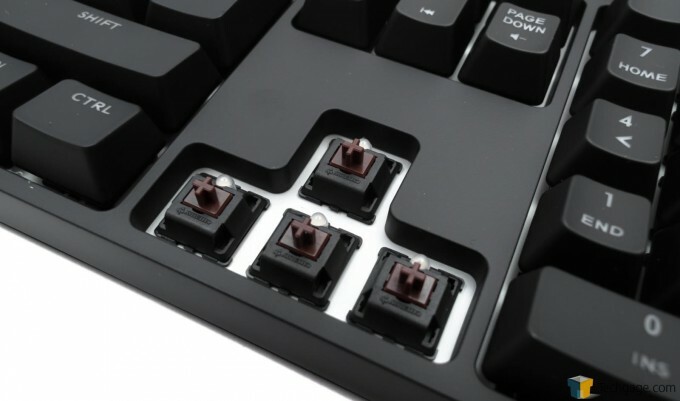 Cooler Master’s Quick Fire range specializes mostly in Cherry MX switches, providing the common trio of switch types of Blue, Red and Brown, with the occasional Green thrown into the mix. Its Quick Fire keyboards are certainly reliable and well-built, as we’ve reviewed a number of them over the years. The latest entry to Cooler Master’s Quick Fire range is the XTi. While many manufacturers are going with full RGB backlighting and more macro buttons than you know what to do with, CM has kept the XTi surprisingly basic and compact. The XTi at face value is not too dissimilar to a standard 108/109 keyboard; the only visible difference is the addition of 4 extra keys just above the numpad. This is the more preferable position for extra keys, as they are not in the way of the standard layout used for typing and gaming. This compact design does mean you can have some gaming features in a relatively small footprint, as there is very little trim around the edges. While many keyboards went with full-spectrum RGB backlights under every key, the XTi drops the green in favor of just Red and Blue. An odd decision for the most part, but you can still configure the lighting on a per-key basis, just as long as it’s red, blue or purple in spectrum (a total of 35 colors). There are a variety of color modes though; solid, breathing, spectrum wave, water droplet, line light and individual lighting. In terms of build quality, the Quick Fire XTi is a solid and well-built keyboard. It’s rather hefty at just over 1.1kg. Four rubber pads stop it from drifting around, and despite being made of plastic, it doesn’t creak or crack under heavy abuse. The elevation feet add some height, about an extra centimeter, but nothing substantial. All the keys have a soft-touch coating that provides some grip despite being smooth, but it is prone to leaving fingermarks if you have sweaty/oily hands. It is easy to clean, so don’t be too concerned. This particular sample came with Cherry MX Brown switches, providing that soft tactile feedback with the responsiveness of a red. There is no visible branding either, except on the underside, so if you prefer a brandless appearance, this is definitely a bonus. 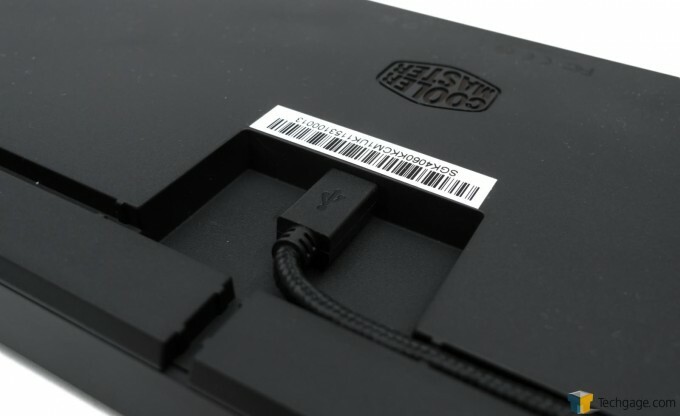 Speaking of the underside, this shows us another key feature – a detachable cable (micro USB). To some, this might seem superfluous, but it does have advantages if you plan to carry the keyboard around anywhere (do people still go to LAN parties?). The other benefit is that you can swap out the cable for a longer or shorter version – which I needed to do as the cable provided was just a tad too short to reach the back of my PC (supplied cable is 1.5m instead of the more usual 1.8m). 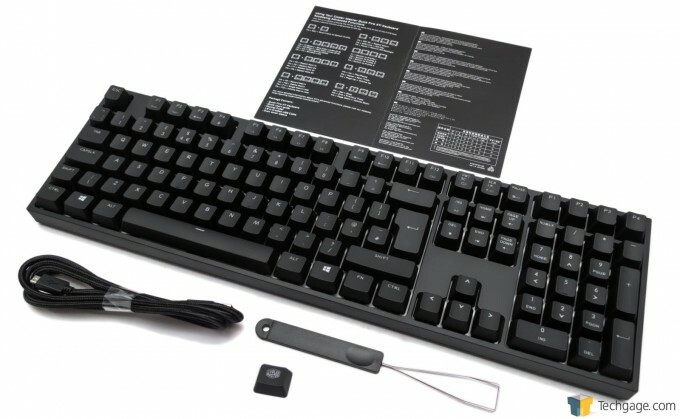 There is a branded Cooler Master key cap and key puller included with the accessories, so you can swap out any of the keys if you wish. 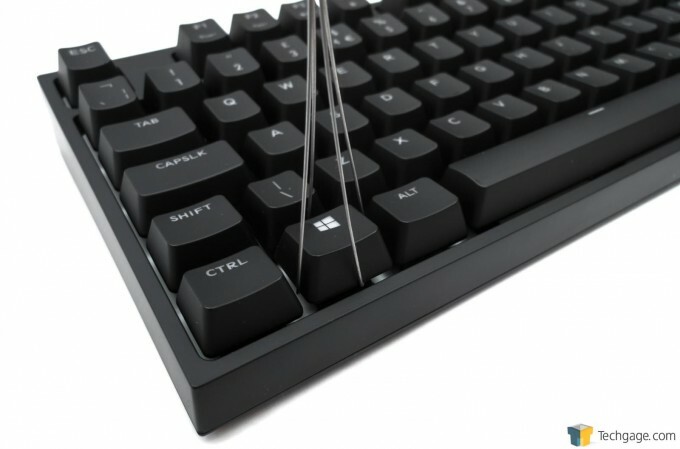 The keys use the same cross-point system found on most mechanical keyboards these days. The Quick Fire XTi becomes a little bit strange from here on out, especially if you are familiar with a lot of other gaming keyboards. It might come as a bit of a surprise… but there is absolutely no software. This keyboard, from backlight control, to macro recording and profile switching, is 100% hardware driven and configured. Now, this can be seen as both good and bad, but this is one of the key issues you’ll need to weigh up before you purchase. When it comes to peripherals, gaming or otherwise, it’s the software that really makes or breaks a good product. I can honestly say that, for the most part, software does a good job of breaking most decent products – it really can be atrocious stuff sometimes. Super flashy graphics that’ll make you blind, more buttons and sliders than you know what to do with, the horrendous installers, firmware updates that fail for no reason, crashing drivers that disable all the extra functionality… and on and on. So when a product like the XTi comes along, that can provide most of the important features in pure hardware, it can be quite refreshing to see. The big advantage is that all preferences are stored in hardware; the keyboard can be transferred from system to system, and you don’t need to wait to upload changes. It also means you don’t need to go looking for drivers when setting up a new system because it’s just pure plug and play. Any changes you want to make can be done there and then, without faffing around with software to do it. 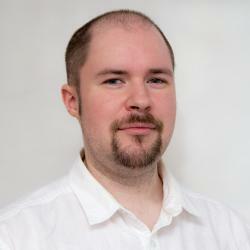 There are a couple of downsides to consider, of course, but their impact is really up to the user. First, you will need a manual to do anything – it’s not intuitive as to how to set up macros or configure per-key lighting. In fact, creating macros is a royal pain since you are running blind without the ability to edit them or adjust timings afterwards. 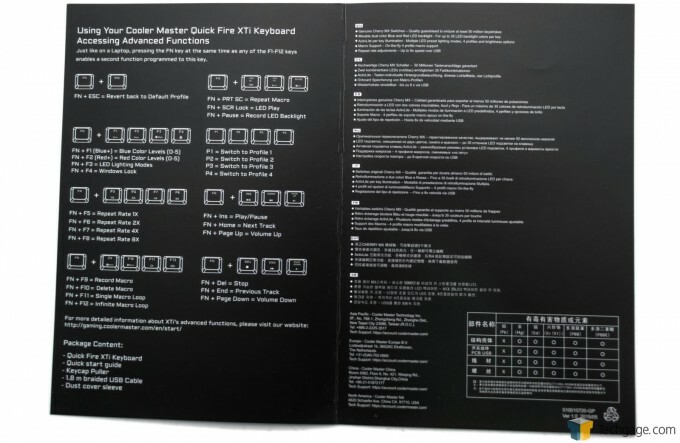 Cooler Master has uploaded a video to give you a visual guide on how to set up and use the functionality of the Quick Fire XTi, so it makes for a good reference if the provided leaflet is a little confusing. For the more basic operations like volume control, media playback, lighting level and type-rate, these are easy to perform, as they are all based around the FN-key, similar to that on most laptop keyboards. FN+ Page-Up and Page-Down is volume up and down, F1-F3 are for light levels, F4 disables the Win-Key, and F5-F8 are type-rate (or turbo, depending how you look at it). All these keyboard shortcuts have appropriate symbols on each key to signify what they do, so you won’t need a manual for them. Changing individual key colors requires you to select a profile, press FN+Pause to activate LED mode, press FN+F1 or F2 to set the color you want (shown by the FN key), and then press each key to change its color. It’s not terribly complicated, but it’s not completely intuitive either. Cooler Master’s Quick Fire range of keyboards have always impressed, and the XTi is no different. It’s solidly built, very compact for a gaming keyboard, has all those media keys without taking up extra space, and with a bit of work, can be set up with a versatile range of macros for repetitive tasks. The lack of software is mostly a bonus in my eyes (although I’m in a rather unique position of having to install dozens of peripheral drivers because of testing). The fact everything is set-up on the keyboard means I don’t need another service in the background running that needs to be constantly updated. It would be nice to have some software as a backup, since the macro recording is a bit of pain (it only records in real-time, so you can’t do fast commands), but in all honesty, that’s all I’d use the software for. With regard to lighting, the entire key mount panel is white, which helps reflect some of the glow from the LEDs. This helps disperse the light and provides a much more even lighting effect – even the second symbol on each key is well-lit. I’m still struggling to understand the lack of green lighting, but perhaps it would be a bit too complicated to set the different lighting levels with just hardware shortcuts (the entire F row is used for alternate actions already). If you are after a compact mechanical keyboard with gaming features such as macros and custom backlighting, but you don’t want to deal with lackluster software, the Cooler Master Quick Fire XTi is a very good option. However, if you want that extra control over macros through software, something like the Quick Fire Ultimate would be a better fit. You can pick up the XTi from Amazon and Newegg for around $140, just be sure to check out the right key type. Compact keyboard with gaming and media keys. Uniform backlight with individual key colors. Purely hardware driven, no software needed. Choice of mechanical key types (Cherry MX Red, Brown and Blue). Lack of software might put some off.